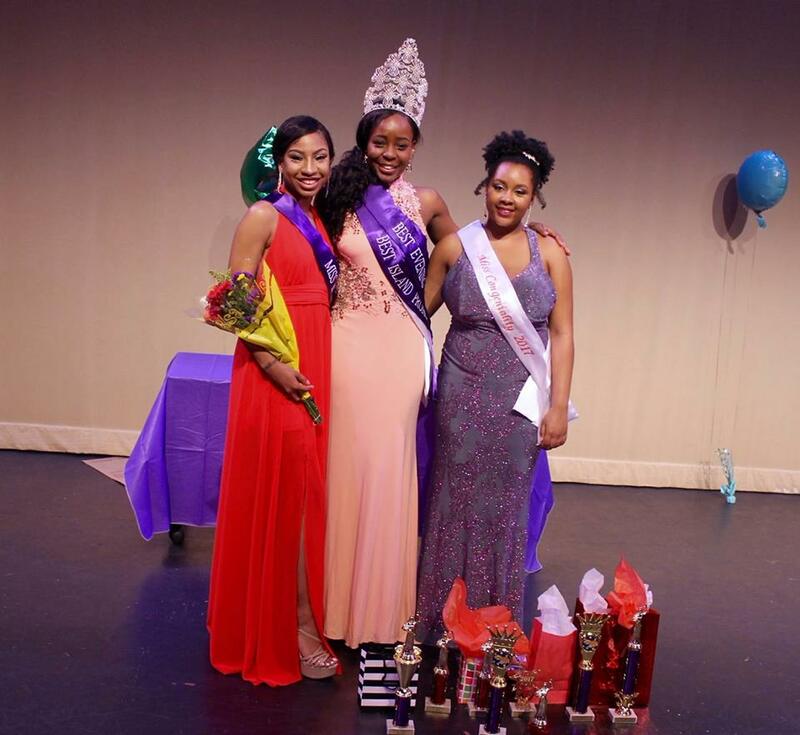 Christina Frederick, a senior criminology major from the U.S. Virgin Islands, became the Miss UT Caribbean Queen 2017 at the Miss UT Caribbean Pageant and won a $500 scholarship on Feb. 19. Frederick was left in tears of happiness as she won badge after badge for Miss Popularity, Most Cooperative, Promoter Award, Best Creative Swimwear, Best Island Promotion, Best Talent and Best Evening Wear. This is the fourth year the pageant was hosted by The Caribbean Dance Troupe. It is made up of six categories: introductory speech, creative swimwear, island promotion, talents, question and answer, and a pre-pageant personal interview. The competitors were evaluated on grace, dignity, movement and position of composure. Participants were also judged on enthusiasm and nonverbal communication, as well as speech and creativity. “The mission of the Miss UT Caribbean Pageant is to promote and showcase the beauty, talent, and intellect of young Caribbean women of the University of Tampa and to increase self-confidence, public speaking skills, and creativity for future endeavors,” De’Quan Browne-Schmidt, a UT graduate student and founder and chairperson of the pageant, said. Since October of last year, Frederick had a challenging journey; from preparing for an interview to rehearsing choreography and speeches day after day. She was able to push through these pageant requirements and claim her crown. Frederick prides herself in being a member of the UT Caribbean Dance Troupe, the National Society of Leadership and Success and the UT Success Scholars program. She described herself as fun-loving, while at the same time emphasized she was focused on graduating this semester. Frederick said that the reason she initially chose to enter the pageant was outside motivation that pushed her to run. “It was mostly my family and friends. I was like, if they have faith in me, I should have faith in myself,” Frederick said. Frederick had many supporters at the pageant. Among her supporters was her best friend, Kimesha Barnes, a senior in Florida A&M University majoring in physical therapy, who also partakes in pageantry. Barnes explained that pageantry takes one out of their comfort zone and that showcasing one’s talents and abilities to an audience takes a lot of self confidence. Luciana Paz can be reached at luciana.paz@spartans.ut.edu.